Today we’re going to explore the “class preference” feature of Magento 2’s object-manager/dependency-injection system. While this feature is a direct descendant of Magento 1’s class rewrite system, it ends up playing a different role in Magento 2. Where Magento 1’s class rewrites were aimed at allowing third party developers to customize system behavior, the class preference system is a core Magento 2 feature used to enforce a design by interface contract style of systems programming. Like our other tutorials, we’ve prepared a module that sets up the basic commands and classes we use in this article. You can Ecommage_TutorialObjectPreference.zip. As of this writing, the installation procedure for a Magento module isn’t 100% clear, so we recommend installing these tutorial modules manually using Ecommage_TutorialObjectPreference.zip. If you need help installing a Magento module manually, the first article in this series contains detailed instructions for doing so. You’ll know you have the module installed correctly when you get the following output when running theecommage:preference command. Assuming you can run the ecommage:preference command, we’re ready to start. If you’ve been following along with our series, nothing in this file should surprise you. The main execute method calls the getMessage method of the object stored in the messenger object property. The command code sets this messenger property in the constructor, and Magento creates the object itself via__construct dependency injection. Re: the automatic dependency injection — the type hint of Messenger (full class name ofEcommage\TutorialObjectPreference\Model\Messenger) ensures the $messenger parameter contains an instantiated Ecommage\TutorialObjectPreference\Model\Messenger object. If any of the above confused you, you may want to review the previous articles in this series. Next, let’s take a look at the Ecommage\TutorialObjectPreference\Model\Messenger class definition file. Here we see a similar pattern — the getMessage method calls the getHelloMessage method of the object in the message_holder property. The message_holder object contains an object that Magento creates via the__construct dependency injection system. That’s no class, its a space station, PHP interface! If you’re not familiar with interfaces, we’ve written a short primer— but experienced PHP developers will know why we’re using exclamation points. You can’t instantiate a PHP interface — they’re not classes. 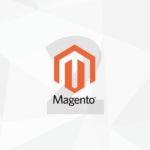 So how is Magento injecting an interface? 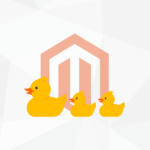 Based on what we’ve learned about Magento’s object manager so far, you’re right to be confused. However, this is where the class preference feature comes into play. The first response to confusing code? Debugging with PHP’s reflection features, of course. Let’s try adding the following temporary var_dump debugging code to the Ecommage/TutorialObjectPreference/Model/Messenger’s constructor. Here we’re using PHP’s get_class function to view the object Magento injects. If we run our command with the above in place, we’ll see the following output. Why is the object manager (via dependency injection), instantiating aEcommage\TutorialObjectPreference\Model\English object when the type hint is for a Ecommage\TutorialObjectPreference\Model\MessageHolderInterface? This is what the class preference system is — it’s a way for end users to configure which classes Magento’s object manager should actually use when the object manager requests a certain class/type (or, in the context of automatic dependency injection, encounters a specific type hint). In the next section we’ll cover how to configure a class preference, but don’t forget to remove the temporary var_dump and exit above before we move on. Most (if not all?) of Magento’s object manager features are configured through a module’s etc/di.xml file. For a Magento 1 developer coming in new to Magento 2, the new system continues the work that was going on in later versions of Magento 1, and splits out feature specific configuration information into their own configuration files. If you take a look at di.xml, you’ll see the following “top level” (under the real top level <config/>, that is) node. By changing di.xml, we told the object manager to inject a different class/object. While this example is (obviously) simplified for pedagogical reasons, this is a powerful feature you can use to change the behavior of Magento 2 system wide. Here we’ve told Magento that anytime someone requests that the object manager instantiate a Ecommage\TutorialObjectPreference\Model\Messenger object, that the object manager shouldactually instantiate a Ecommage\TutorialObjectPreference\Model\Messenger2 object. Injection? We don't need no stinking injection! That less than friendly message comes directly from our newly configured Ecommage\TutorialObjectPreference\Model\Messenger2 class. This, in effect, makes the class preference system the successor to Magento 1’s class rewrite system. While the class preference system is similar to Magento 1’s class rewrite system, it’s superior in at least one way. Let’s run through one last example. this new class failed the type hint check, and PHP rejected the change. While this may seem annoying, it’s actually a good thing. The class preference system in Magento 2 has an added layer of type safety. In Magento 1 you could replace a class alias like Mage::getModel('catalog/product’) with any PHP class you wanted — but if that class was missing a method, your project would fail, sometimes in mysterious “not immediately evident” ways. By using PHP’s built-in type hints for automatic dependency injection, Magento gets this added level of type safety for free. By forcing developers along a path where they’re required to use dependency injection to instantiate objects, Magento forces developers along this type-safe (or type-less-dangerous) path. Is it better to use interfaces for all my injected dependencies, or should some be concrete class files? While that’s a very good question, it’s a question without (at the moment) a clear answer. I will say, all other things being equal, it would be better to have an interface for any dependencies you’re injecting into the system, as an interface allows future developers more flexibility in building a replacement class for your dependency. Of course all things are never equal, and the true best practice will reveal itself after Magento 2 starts getting some real world use. While we’ve described the object manager’s class preference system as a replacement for the class rewrite system — and you can certainly use it as such — its real value comes from being a tool for developers interested in using design by contract style programming in their modules. By letting developers specify dependency injectable type hints that are interfaces, developers are (in turn) encouraged to use interfaces — knowing they can swap out their concrete implementations if they need to with a simple configuration change (as opposed to a complex refactoring). There’s also another reason to look askance at the class preference feature as a replacement for class rewrites — and that’s because Magento’s object manager comes with a slew of other features that are both more powerful, and more specific, than the broad rewrite concept. We’ll explore more of these features in our next article, when we cover the configurable arguments feature of Magento 2’s object manager system.